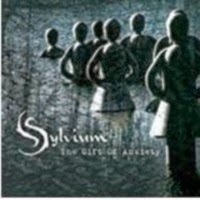 I was well ahead of the game with this particular album for review, as I have been featuring the band, Sylvium, on the radio show since the album, The Gift of Anxiety, was released last September. Sylvium was formed back in 2010 by Ben van Gastel (guitar, keyboards), and his intention was to make use of guest musicians when he was recording. The first album, Purified, was produced and released in 2012 with Fred Boks contributing to the album. Purified was an instrumental album and was very well received, and on the basis of that success, they were invited to record a 10 minute track for the Dutch Exposure album, which was to highlight Dutch bands. Ben produced a track collaborating with Janroel Koppen (piano) and although they were chosen as one of the finalists, Sylvium was not ready to perform live, and consequently withdrew from the competition. Spring 2013 saw Sylvium become a live band with Ben and Janroel being joined by Gijs Koopman (bass) and Greg Geurtson (drums), and also the recording, and subsequent release, of The Gift of Anxiety. The album is based around a theme, that of anxiety, and includes vocals for the first time. Two guests during the recording of The Gift of Anxiety, Richard de Geest (vocals, guitar) and Antal Nesseldor (keyboards) have now joined Sylvium on a permanent basis; meanwhile recently, Janroel Koppen has left the line-up. The Gift of Anxiety is a 6 track album with a total playing time of around 41 minutes. The shortest and longest tracks on the album are the two last tracks, with track 5, “Heaven,” the shortest at 6:29 minutes and the final track, “Weathering,” clocking in at 7:53 minutes. “Disposable” (6:31) which blasts the album The Gift of Anxiety off, has a full band introduction which immediately grabs the listener and then a simply majestic piano passage floats across the track and then returns again slightly later, ensuring that the attention is kept firmly on the music. There enters some gentle synth sweeps away in the background which catch the ear and at around the halfway point, the sound drops away to leave a simple synth and bass passage which is excellent. Small tinkling bells herald the return of the guitar and more prominent synths as the band members flex their musical muscles to build the track back up. Superb bass and drumming throughout this track drive the opener along and it serves as a fine starter for the tracks that follow. “Disposable” is an instrumental as are, “Falling” (6:33), “Ominous” (7:09) and “Heaven” (6:29). The one thing that they all have in common is the amazing aural soundscapes that they conjure up. The music moves from the full band workout to much gentler, softer passages within the tracks and this ensures that, at no time, do they lose the interest of the listener. The two remaining tracks, “Surround” (6:57) and “Weathering” (7:53) debut the first vocals on Sylvium songs, and in both cases, the voice of Richard de Geest fits into the music superbly. “Surround” starts in a more stripped down way, which did remind me of the older Scottish band, The Blue Nile, with the strong powerful voice delivering the lyrics over a relatively sparse backing. The track soon builds in intensity, but that voice remains the center point. Great guitar riffs, keyboard flourishes and the continued excellence of the rhythm unit ensures a memorable track. The final track, “Weathering,” has a very gentle introduction with nice drumming, bass and another of those simple piano melodies. The voice is slightly more insistent on this track as it gently pulls you into the music. This is possibly the most memorable track on the first few listens and will certainly embed itself in your mind. The second part of the track allows the musicians to highlight their skills, before a more ethereal sound takes over to take the track out. The Gift of Anxiety is a simply stunning album that immediately grabs your attention, and for the 41 minutes of its duration, carries you along on a wave of aural soundscapes before gently allowing you to settle back into the here and now. After a moment, you realize the next thing to do is to start the album over again. Both “One to Buy” and “The Experience will last Forever” sticker adorn the front of this release and it is an album that should fill a little space on everyone’s CD shelf.